This entry was posted on March 16, 2011 by Christopher Martin. 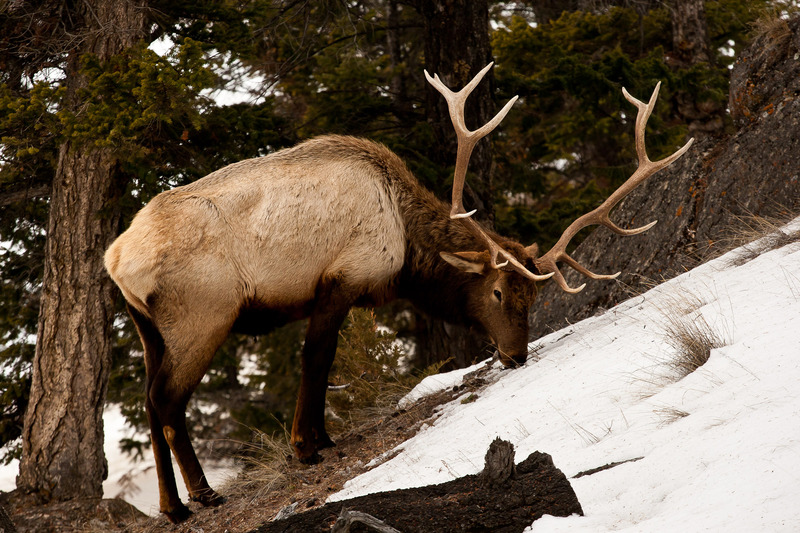 It was filed under Animals, Banff, Elk, Nature, Outdoors, Wildlife, Winter and was tagged with alberta, animals, antlers, Banff, Banff National Park, bull, Cervus canadensis, elk, graze, grazing, male, mammal, North America, North American Elk, photography, ruminant, Vermilion Lakes, wapiti, wildlife, wildlife photography, winter. discovered your blog by chance and saw you have really beautiful pictures. May i know what lens and camera did you use to capture these shots? it looks so sharp especially the details on the elk, esp the second and second to last image. Hi Jasmine – thank you for visiting and for your nice comment. The camera I used for these images was the Canon 5D Mark III. The lens was the Canon 500mm f/4 (version 1). All images were made with the camera and lens mounted on a tripod to maximize sharpness. Might be this blog’s greatest post I have read!!! Thanks for your comment. I spent about half an hour moving slowly closer and stopped at about 40 feet away. 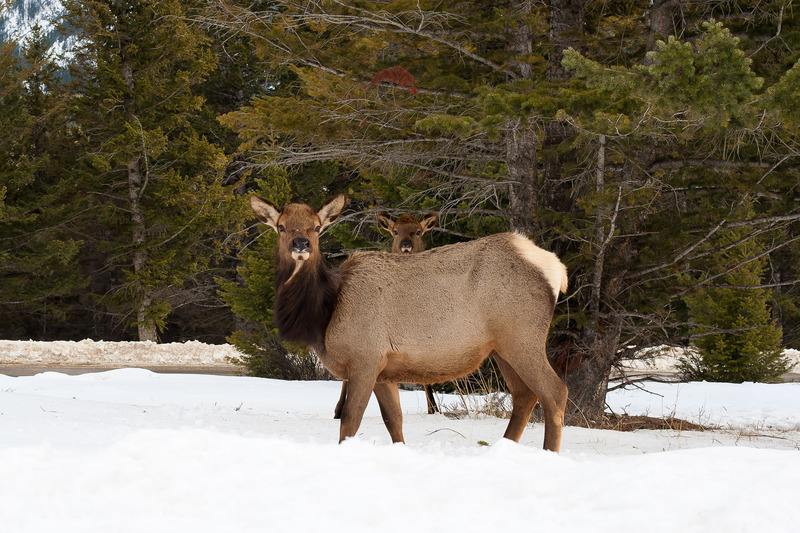 Elk, as with all wildlife, are unpredictable so you have to watch for signs that they are uncomfortable or stressed. 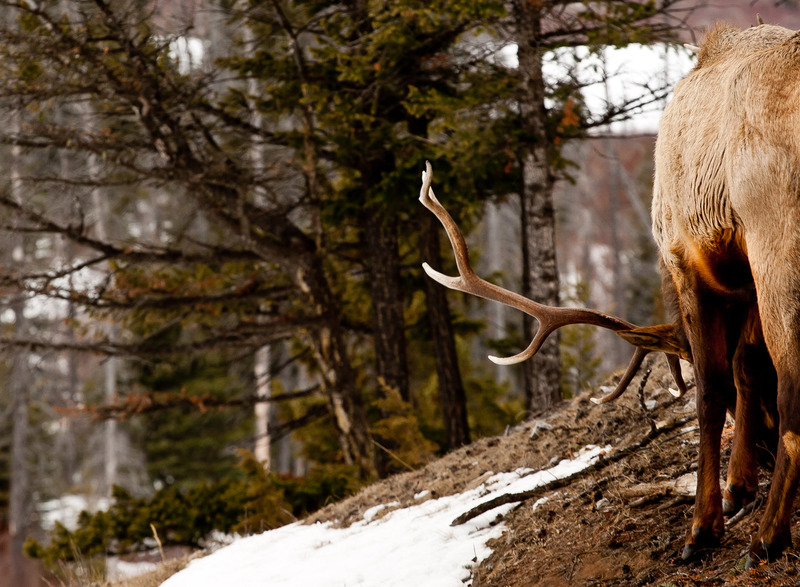 If you push your luck, they can turn from passively watching you to antler lowered rushes very quickly. I only approached closer than a a couple of hundred feet once he knew where I was and he was moving about easily. When they stand facing you and stare at you, very generally speaking you should back up and leave them alone. For a set like this there have been many encounters where the animal was agitated or shy and I photographed from a good distance, leaving them to themselves. WOW! Spectacular images — thanks so much for sharing. Thank you! And thanks for visiting. Come back anytime! Thank you for taking some time to wander around the blog and for your comments. Thanks Kristine – all the best to you. Awesome pics! Jeeez, I miss Banff 😦 I lived there for 3 months! And yes… There are a lot of elk around the area 🙂 Thanks for bringing me back the good memories! Excellent photos. I especially like the last one. Its almost as if he is trying to make a threatening gesture, but just ends up with a quizzical expression on his face. He was an interesting fellow – this about as close as he came to threatening me so it was a pretty calm experience. some species in several country, this animal is endangered because hunting without under law that protect animal such as elk. Very nice pics of a beautiful animal in its natural habitat. Very cool! 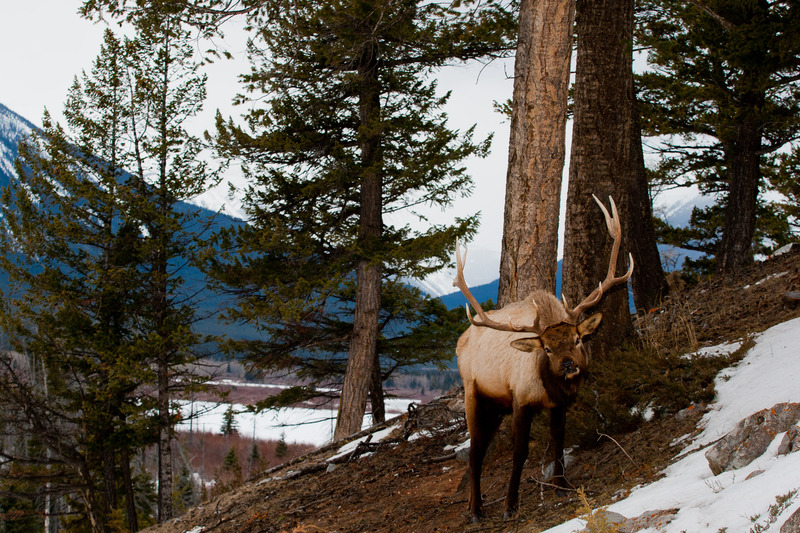 Look at that badass Elk. Awesome pictures! I used to live in northern Arizona and could see them in the woods about 20 feet from my kitchen window. They are something to watch! Thanks for posting the photos! Awesome post! Such a magnificent animal! Great photos! Great Shots! Nice to see that there were so many ELK! Amazing photos of this beautiful creature! Thanks for the post and congrats on the FP! Wow, you sure looked like you got up close & personal! Nice photos! I’m very glad you, too, experienced the magic of this most special park! Looks like they are coming out of a hard winter of deep snows. Could definately put some green grass pounds on!! Part of what I teach (rissacloud.wordpress.com) is that hardship as seen in these photos w/o immediate health danger will genetically set up next generations for hardiness. we are predisposing our own genetic stock, our children!, to great genetic weaknesses for the future… meaning our next generation will be derived of genomes lacking in strengthening constitution. Beautiful thank you for sharing! Truly beautiful shots. Thank goodness WordPress put your post up on the front page! 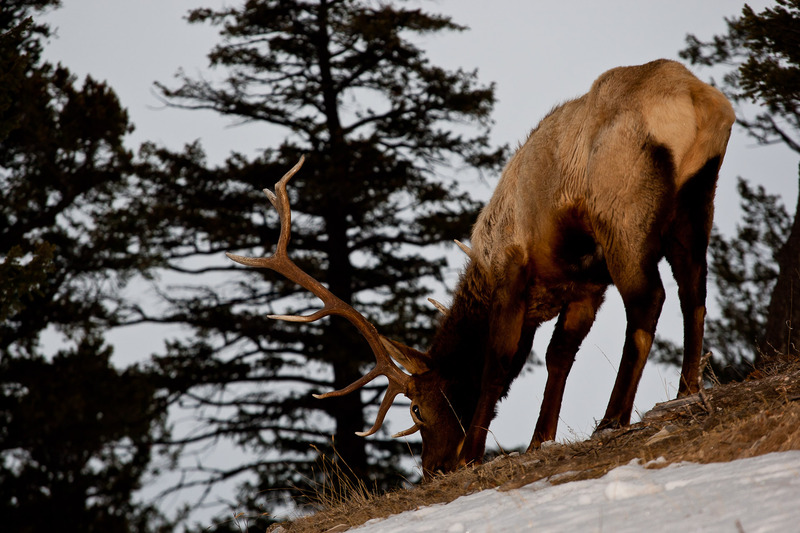 Awesome and stunning photos of an Elk. Nice captures of this one. My grandfather used to tell me before that Elk is the fastest among the dear family. And it’s meat is very low in fat and cholesterol and the animals are not treated with growth hormones or chemicals. LOVE this. Going to have to show my husband tonight, too. 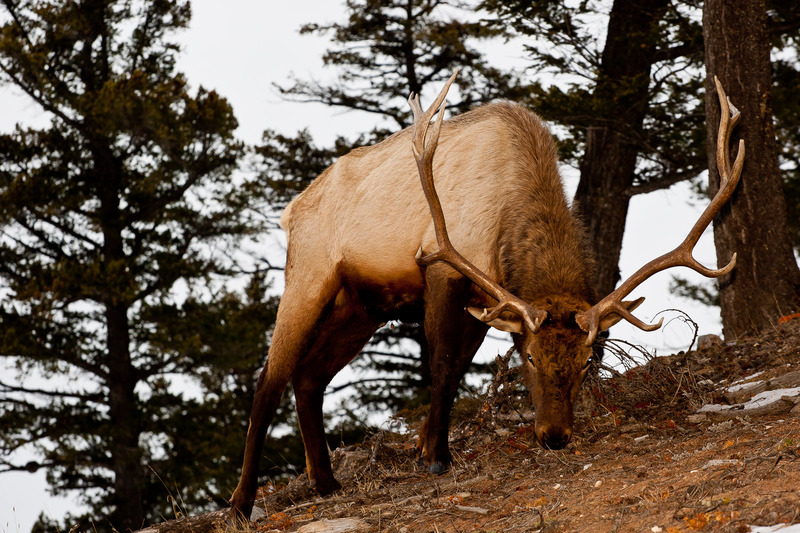 One of our best memories included camping in South Dakota’s Black Hills, and waking up to a herd of 50 elk (mating season, bulls were lining up the cows). The first one looks like he is getting ready to charge. Beautiful animal. Thanks for visiting Mikalee – I’m glad you enjoyed the photographs. Those things are huge!! Nice pics! I love these, Chris! I can only dream about getting this close to photograph wild animals. The antlers are incredibly large. Amazing to see the detail!